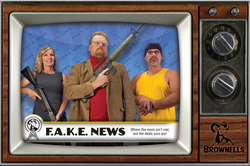 Brownells is replacing its traditional Black Rifle Event with a fun, satire-filled promotion called Fake News. Real Deals. Brownells will release new videos and a new series of deals regularly.